Rob Maylor has seen action in the world's most dangerous combat zones. From East Timor and Iraq to Afghanistan, he has been places where no-one else wants to go. He was there when a Black Hawk helicopter crashed, drowning two of his mates. He was there at Australia's biggest battle in Afghanistan when a Taliban ambush left him shockingly wounded. 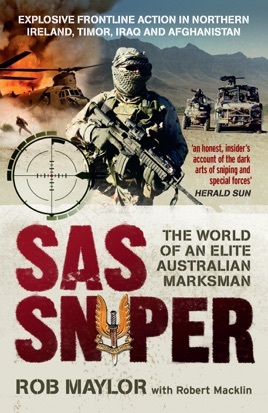 This is a gritty, no-holds-barred behind-the-scenes look at life on the front line from an elite SAS sniper.